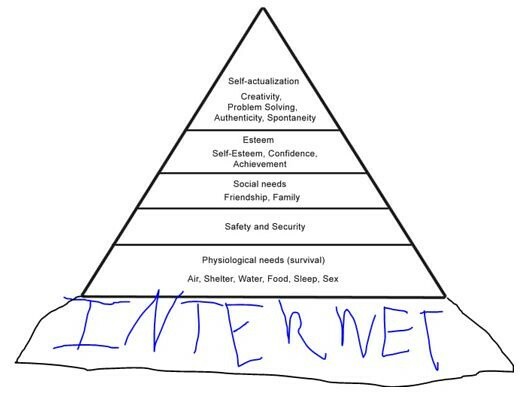 I’ve been travelling recently and haven’t had much time or a good WiFi connection to do, well anything frankly (see Maslow’s Hierarchy of Needs). One thing I did was recently I spoke at the British Medical Assocation’s Annual Representative’s Meeting (BMA ARM) about publishing all trial results (you can read about it and see an embarrassing photo of me here, and sign up to the AllTrials petition here), but now I’m in the United States of America. I’ve seen some pretty disturbing things while travelling but during this trip I heard that Jenny McCarthy was announced as the new host of the American talk show The View. Who is Jenny McCarthy I hear you say? Well, hold tight. You’re in for a treat. She’s the focus of this week’s Health in the Media: American Special. Jenny McCarthy is described on her Wikipedia page as an American model, actress, author, and activist and now the new host of The View, an American daytime television show. The appointment of McCarthy as co-host on The View can only be described as dangerous. This will give her a pulpit to 3-4 million people on a daily basis. Giving her this time to spurt her unrestricted and dangerous views to millions, many of whom are parents just back from the school run will ultimately undermine public health and cost lives. McCarthy is one of the most prominent voices in the USA against vaccinations. She declared that vaccinations had caused her son’s autism, and promoted this on national TV. What’s even better, she claimed that she had cured their son through a combination of diet and vitamins. Then recently, she has admitted that her son never had autism but is still spreading fear about the safety of vaccines, claiming that too many vaccines harm. She has put the full force of her celebrity to the task of convincing parents to leave their children vulnerable. In an interview with Good Morning America a few years ago. McCarthy said, “In 1983 the shot schedule was 10. That’s when autism was 1 in 10,000. Now there’s 36, and autism is one in 150″,”All arrows point to one direction”. This argument is one used by anti-vaxxers all over; the number of cases of autism has gone up, so has the number of vaccinations, so this means vaccinations cause autism. This breaks one of the fundamentals “rules” of epidemiology, correlation does not equal causation. In simple terms, the argument used by the anti-vaccination lobby is that A occurs in correlation with B, therefore, A causes B. This isn’t always the case; B could have increased (or decreased) for any number of known and unknown factors. This argument is hilarious, as the incidence of many things has gone up since 1983. McCarthy’s former partner, prominent anti-vaccination campaigner and actor Jim Carrey, made his first movie in 1983 (which is a beautiful coincidence). Since then the number of movies he has made since then has gone up. So has the prevalence of autism. If we used the same logic employed by McCarthy then it is safe to say that Jim Carrey movies cause autism. However, we all know correlation does not equal causation and any such relationship is not true. I can hear my critics already. “Dave, you’ve never won Playmate of the Year, or been at Wrestlemania or dated Jim Carrey. 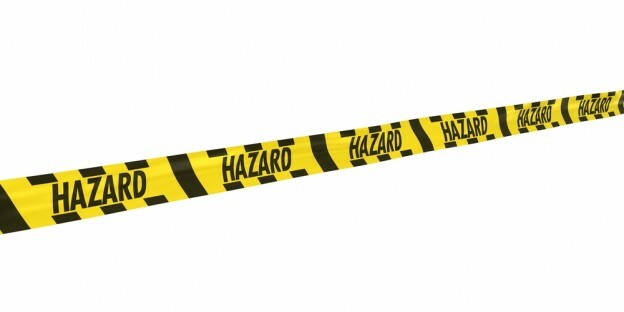 What qualifies you to comment on matters of health policy? You’re just a hip, young science geek that likes to be sarcastic about everything”. I’ll admit, I know my limitations and I’m probably not the best person to ask but when you look at the evidence. There is no evidence to suggest vaccines cause autism, just have a look at this PDF produced by the Centres for Disease Control in the USA, which looks at vaccine safety and autism, thimerosal and autism and MMR and autism. From all of this, there is no evidence for an association between vaccines and autism. 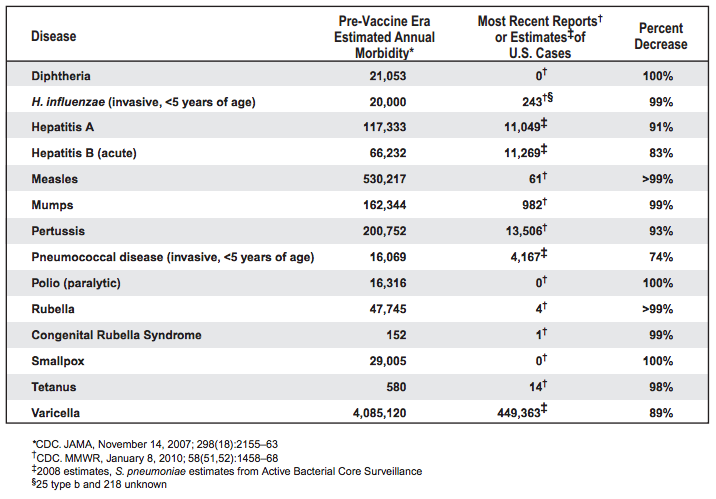 Furthermore in Figure 1, you can see there has been 99% and over percent decrease in annual morbidity for Measles, Mumps and Rubella. 100% decreases in Diptheria and Smallpox. Stuff like that just doesn’t happen by chance. Vaccinations have been undoubtedly one of the best public health interventions of the last century and have saved countless lives. Vaccinations just don’t protect kids from disease but they protect kids from each other. So parents who choose to not vaccinate their kids, aren’t just endangering their own kid’s lives, they’re endangering kids that can’t be vaccinated for health reasons. The website, jennymccarthybodycount.com has tracked avoidable illnesses and deaths in the US from 2007 to the present day, so far (as of July 13th 2013) there has been 118794 avoidable illnesses and 1171 preventable deaths. One is too many. So yeah, there is no evidence that MMR causes autism, if we look at one of the biggest studies. It was a case control study that took 400,000 people who had MMR and 100,000 who didn’t; the researchers found that there was no difference in the rates of autism in the two groups. If MMR is safe, where did the UK MMR scare come from? Well, the MMR hoax was perpetuated by the UK media. They based a lot of it on a single case series report published in the Lancet in 1998. This was a case report of 12 patients, that’s a really small number of patients and we know that this type of study is really rubbish in looking at really common exposures and really common outcomes like MMR and Autism. In addition to this, we know that this case series was based on manipulated data, fraudulent research and massive breaches of ethics. The lead author, Andrew Wakefield was struck off the medical register in 2010. Even though the science community knew a 12 person case series was a bit naff, the media ran with it and MMR vaccination rates dropped. At the end of the 1990s, measles was nearly eradicated in the UK but in July 2013, in the UK, a measles epidemic just ended. One person died. This one avoidable death shows the importance of clear information and the villain in this case, the person or people that caused this measles outbreak, probably isn’t Andy Wakefield, but the media. If these vaccinations were really dangerous, they would be dangerous everywhere, these vaccine scares would be everywhere but vaccine scares are localised. In the US, the major vaccine fear has been around the use of a preservative called thiomersal, in the UK we had the MMR scare, the French had Hepatitis B and Multiple Sclerosis. You can read more on this from Ben Goldacre here. Seth Mnookin’s book, The Panic Virus, has a chapter dedicated to on McCarthy as, “someone who has worked, methodically and relentlessly, to undermine public health”. Recently, Mnookin made the book freely available at his PLOS blog here. I’d urge you to read it. When I was at the BMA ARM, I spoke to someone about these blogs. He said, “it would take a very brave health editor to put their hands up and say they have killed people”. Will the person who made this decision about The View be able to say the same? 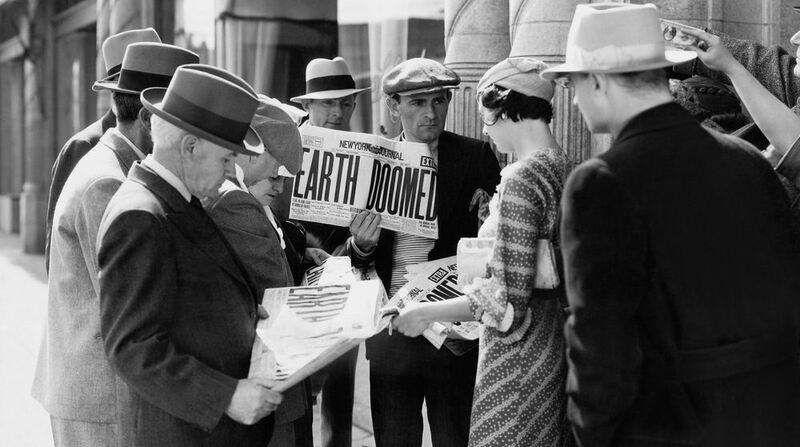 We need to be better at dealing with misinformation from the media and threats to public health. If only we could vaccinate against Jenny McCarthy.